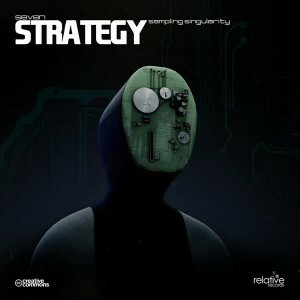 Relative Records and Seven Strategy bring us deep, dark, technoid rhythms from Buenos Aires, Argentina, with Sampling Singularity. The tempos are running high and the artist immerses us in widely-spaced psychedelic atmospheres with pulsating and hypnotic low-end percussion for your listening and dancing pleasure. MP3 Download | FLAC Download | WAV Download · Download count: 9,196. Inreible como todo lo que tocassss. Grande polperrr me encanta tu nuevo proyectoo.